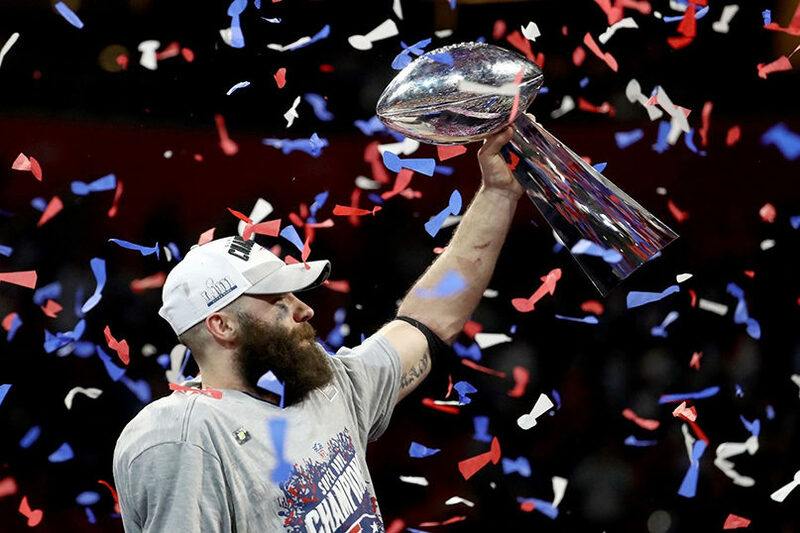 (JTA) – Wide receiver Julian Edelman was named Most Valuable Player as the New England Patriots beat the Los Angeles Rams in Super Bowl LIII in Atlanta. The Patriots’ Jewish owner, Robert Kraft, also earned a kiss on the lips from quarterback Tom Brady as their team celebrated its 13-3 victory – New England’s sixth Super Bowl triumph. Patriots wide receiver Julian Edelman wore these cleats on Dec. 16, 2018 to remember the 11 Jewish victims of the Oct. 27 shooting at the Tree of Life* Or L’Simcha Synagogue in Pittsburgh. Credit: Julian Edelman/Twitter. 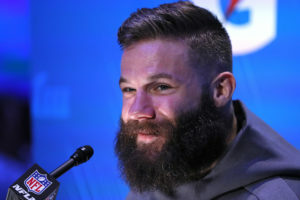 His is the quintessential surprise story: Undersized at 5’10” and less than 200 pounds, without blazing speed and coming from Kent State – not exactly Alabama – Edelman was picked toward the end of the last round of the 2009 draft. He didn’t establish himself as a standout until the 2013 season. 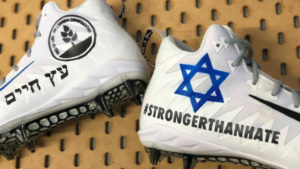 Coincidentally or not, it was during his breakout year that Edelman identified as Jewish in an interview with the NFL Network.